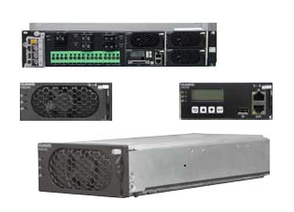 The telecom rectifier power system includes series of embedded power products such as ETP4830, ETP4890, ETP48150 and ETP48200. Its output range is from 30A to 200A. It is applicable to various scenarios and each function unit adopts standard-size design. Its height varies from1U to 11U. With its compact design, it facilities installation and supports various installations such as 19-inch rack and cabinet installation. The system adapts wide range of AC input voltage and provides excellent performance such as intelligent battery management, site monitoring and remote management, etc. Complete failure protection and alarm function, with high storage capacity. In-band monitoring transmission through Huawei main equipments, saving transmission resource, and improving reliability of power network management system. Applications & Benefits Huawei embedded power products have been widely used in fixed access network, wireless access network, transmission network and communication network of enterprise, etc, providing stable and reliable power for main suppliers, and reducing power consumption to the lowest. Please CONTACT US if you need to tailor made a rectifier system for you.